In the United States, the Hotel and Motel Fire Safety Act of 1990 states that it is a legal requirement for hotels and motels to have ‘hard-wired, single-station smoke detectors in each guestroom in accordance with the National Fire Protection Association (NFPA) standard 72’. According to the NFPA, dead batteries caused 24% of all smoke alarm failures in 2015, so it is essential to choose a reliable, long lasting power source. Although it may seem like rechargeable (secondary) cells fit the bill, many fire alarm manufacturers do not recommend using them, as they lose charge more rapidly than non-rechargeable (primary) ones. Therefore, Ultralife have been manufacturing long lasting primary 9V batteries for smoke detectors for over 20 years; 15 years ago becoming a leader in the field with the introduction of Thin Cell technology. Three individual thin foil-cased cells allowed the 9V to achieve a capacity of 1200mAh; 50% more than leading brand-named lithium competitors. With more OEMs now choosing to integrate CR123A batteries into smoke detectors, Ultralife have developed the UB123A, set for release in April 2019. Thanks to improved internal spiral construction, this battery will provide the highest capacity in the industry, 1800mAh. 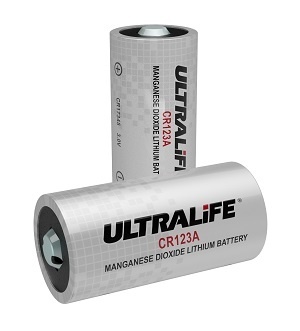 You don’t want to worry about smoke alarms losing power before engineers have chance to test them, so it makes sense to choose Lithium Manganese Dioxide (LiMnO2) batteries with a long service life; particularly CR123As. Ultralife continuously research to improve the capacity of LiMnO2 cells, which has led to the development of the UB123A. One of the most important requirements for smoke alarm batteries is their ability to operate in a wide temperature range, so the UB123A has been tested in a range of hot and cold conditions. Our flagship smoke alarm battery, the Lithium 9V, also performs well under varying temperatures with an effective 900 Ohm discharge rate from -40°C to +60°C. Additionally, an internal shutdown separator closes the pores of the battery if internal temperature elevates too quickly. As this battery can produce higher pulse and continuous current, a polymer positive temperature coefficient (PPTC) has been added to further increase safety. Are you a hotelier looking to replace an existing 9V battery? 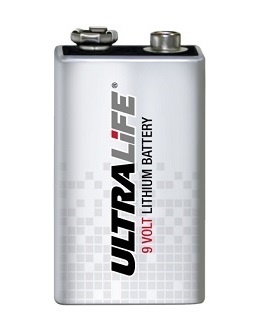 Ultralife's Lithium option is ideal as it’s the same size as a standard alkaline battery, making it consumer-replaceable. Furthermore, it lasts up to 5 times longer than ordinary alkaline 9V, and as such will not need to be replaced as often, saving both time and money. Are you a manufacturer of smoke alarms for hotels? The battery service/shelf life of up to 10 years is ideal for incorporation into premium lines of 10-year ionization-type alarms. 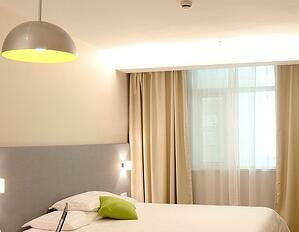 Protecting your hotel guests with the installation of a smoke detector is a legal requirement in the United States. Manufacturers of fire alarms do not recommend using rechargeable batteries due to a shorter service life than non-rechargeable alternatives. 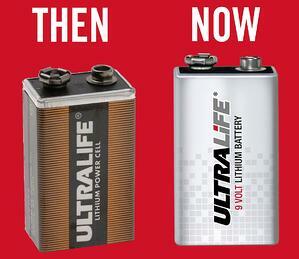 Ultralife offer both 9V and 3V batteries with high capacity, and which operate in wide temperature ranges. Made in the USA, you can be assured of the highest quality product – allowing you and your guests to sleep easier.